Clients - Bow Bridge Communications, LLC. 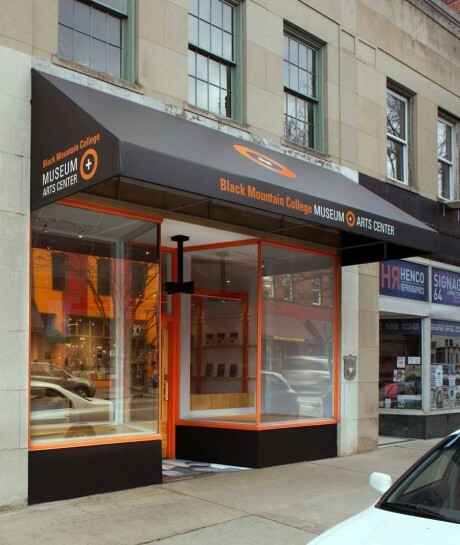 Our clients include museums, foundations, and non-profit arts, cultural, and educational organizations as well as for-profit entities in related fields such as galleries, architecture firms, film production companies, and book publishers. 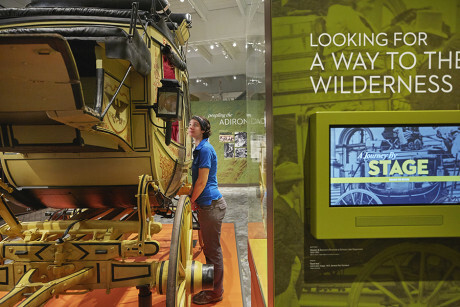 American History Workshop (AHW) produces public programs to connect Americans with their past. Among its clients are museums, historical societies, historic districts, parks and gardens, filmmakers, public agencies, businesses, citizens’ groups, television stations, and others involved in interpreting history. In his latest book, AHW founder and president Richard Rabinowitz explores the radically altered landscape of public interest in and engagement with American history. 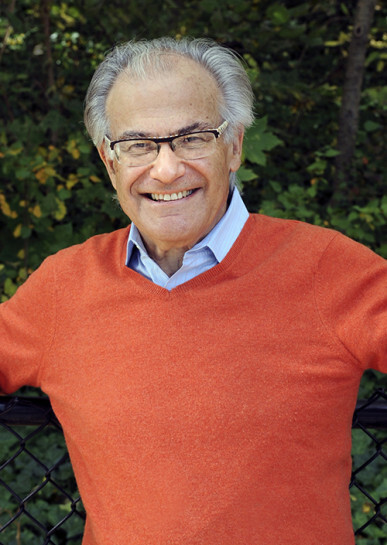 One of the most influential public historians of our time, Rabinowitz has created over 500 history museums, exhibitions, and educational programs across the nation. AHW engaged Bow Bridge to promote the release of Curating America: Journeys Through Storyscapes of the American Past by Richard Rabinowitz, published by the University of North Carolina Press. 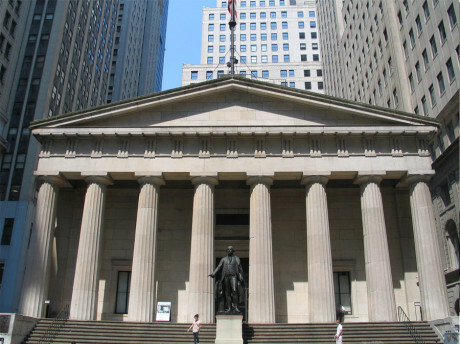 The American Jewish Historical Society (AJHS) is the oldest cultural archive in the U.S. AJHS provides access to more than 25 million documents and 50,000 books, photographs, art, and artifacts that reflect the history of the Jewish presence in the U.S. from 1654 to the present. AJHS illuminates American Jewish history through archival materials, scholarship, exhibitions, and public programs. 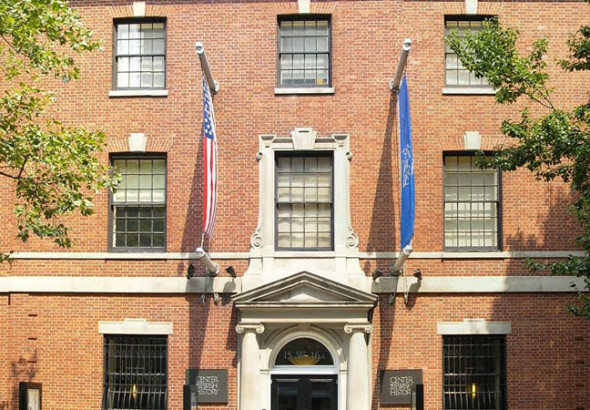 Headquartered in downtown Manhattan, AJHS has a branch in Boston. 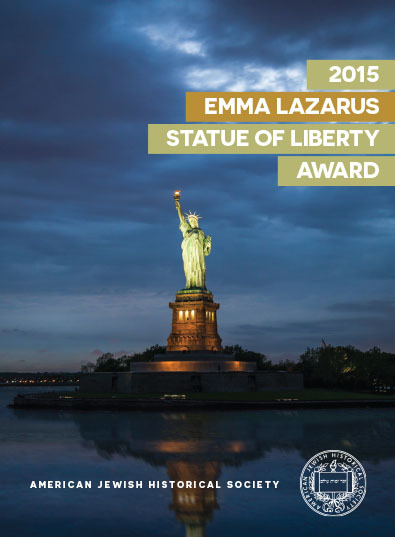 The AJHS engaged Bow Bridge to promote its 2015 Emma Lazarus Statue of Liberty Award presented to John L. Loeb Jr. 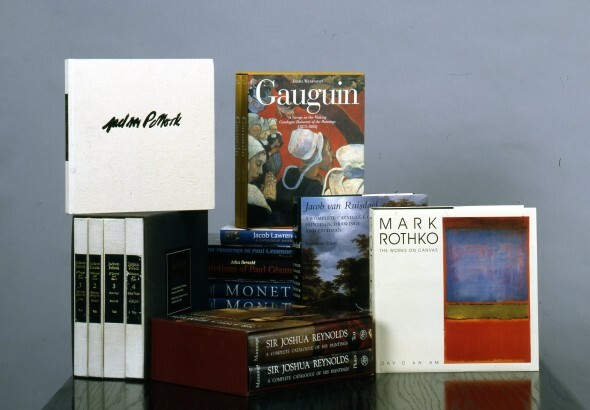 Founded in 1954, the Archives of American Art (AAA) fosters advanced research through the accumulation and dissemination of primary sources that document 200+ years of the nation’s artists and art communities. An international leader in the digitizing of archival collections, AAA has over 2 million digital images freely available online. The oral history collection includes more than 2,200 audio interviews, the largest accumulation of in-depth, first-person accounts of the American art world. AAA retained Bow Bridge to help them build their profile in the arts community by promoting their collections, resources, programs, exhibitions, publications, acquisitions, and special events. 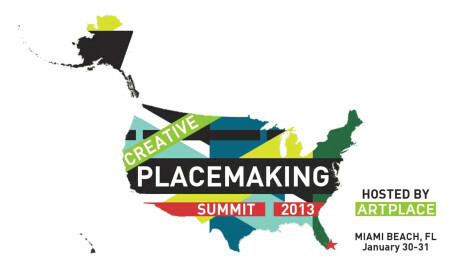 ArtPlace America (ArtPlace) advances creative placemaking across the country, the practice of making arts and cultural projects central in place-based strategies to transform communities. 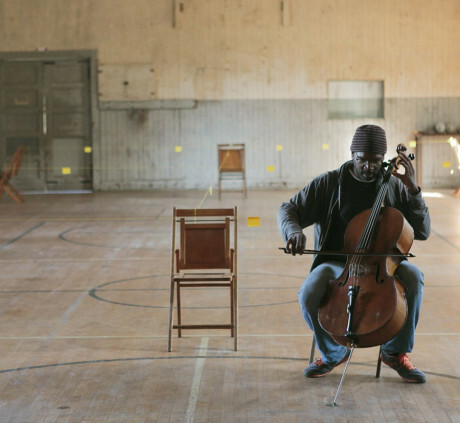 ArtPlace America awards grants to arts organizations in communities across the U.S.
ArtPlace is a collaboration of thirteen national and regional foundations and six of the nation’s largest banks. 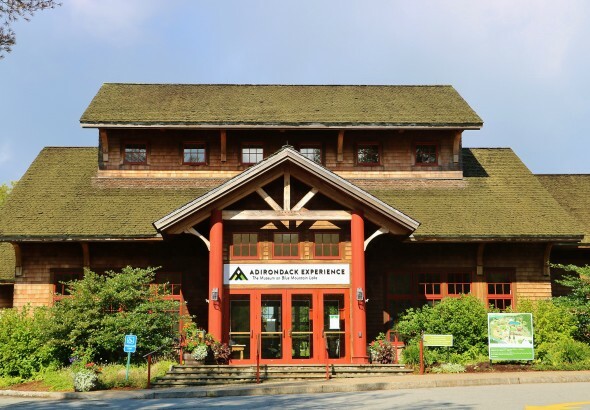 ArtPlace also seeks advice and counsel from close working relationships with various federal agencies along with leadership from the White House Office of Management and Budget and the Domestic Policy Council. Bow Bridge was engaged by ArtPlace America to promote the announcement of new initiatives, finalists and grantees, new leadership, a new foundation partner, and serve as communications counsel. Arts Alliance is the leading producer, financier, distributor, and marketer of Event Cinema films worldwide. 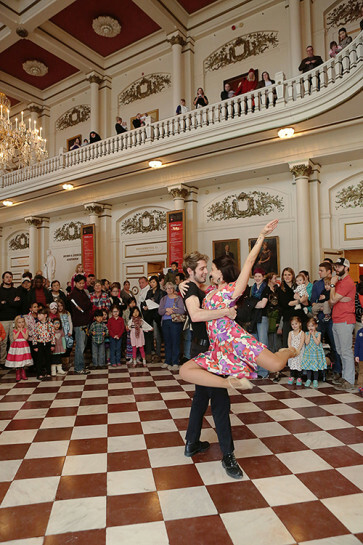 With over seventy releases, Arts Alliance engages movie-goers and fans around the globe with live and filmed opera and ballet performances, dynamic art exhibitions, theater productions, and major rock and pop events. 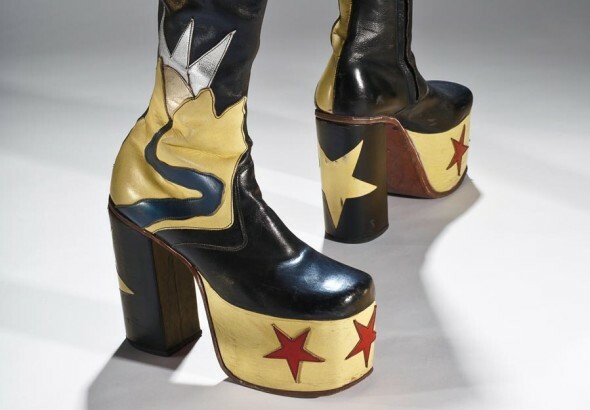 In 2014, Arts Alliance launched a series of exhibitions on screen, taking audiences behind the scenes to see how blockbuster exhibitions come about and virtually explore leading museum collections. 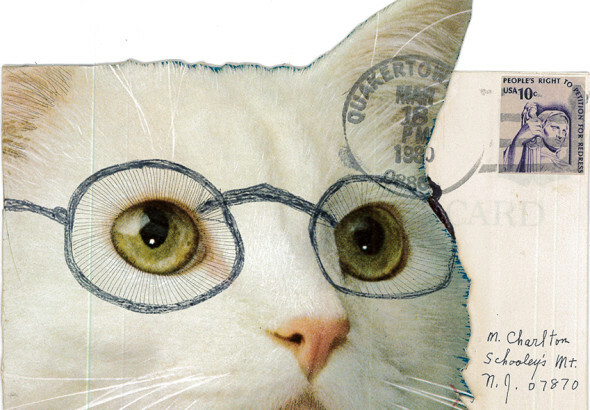 Included are conversations with artists, conservators, curators, museum directors, scholars, and art historians. Bow Bridge was engaged to promote the 2015 series. 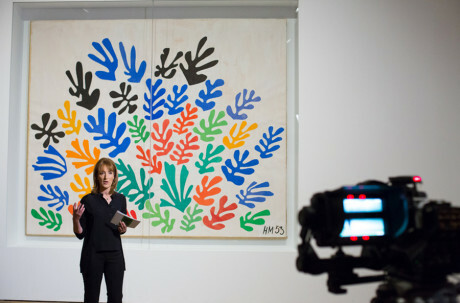 It includes films based on Henri Matisse: The Cut-Outs (Tate Modern and The Museum of Modern Art); Rembrandt: The Late Paintings (London’s National Gallery and Rijksmuseum); highlights from the Van Gogh Museum, Amsterdam; and Vermeer’s Girl with the Pearl Earring and other treasures from the Mauritshuis Museum in The Hague. 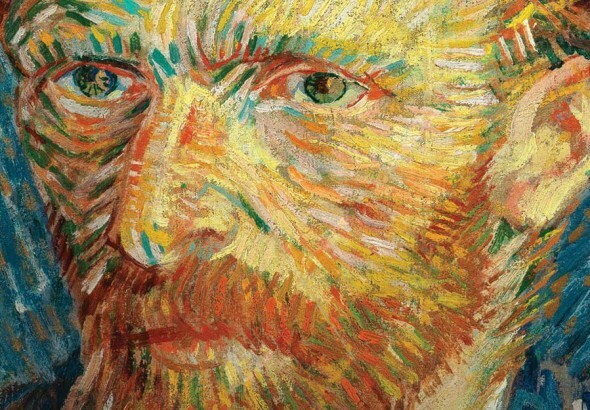 The final film, presented in theaters in the U.S. on July 14, 2015, is based on a traveling exhibition of work by French Impressionists and the art-dealer who introduced them to American audiences. 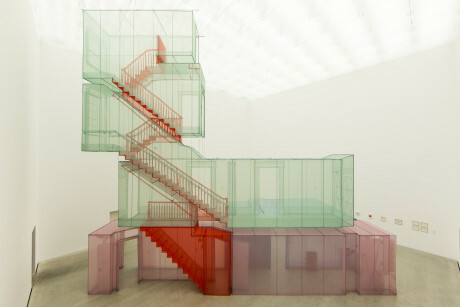 We also advised on U.S. premiere events at MoMA and the Philadelphia Museum of Art. 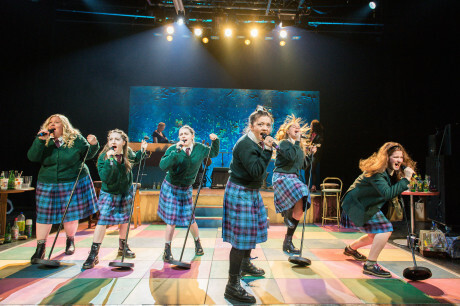 With the help of tens of thousands of donors, ArtsWave supports the work of more than 100 arts organizations making an impact in the Greater Cincinnati/Northern Kentucky metro region. 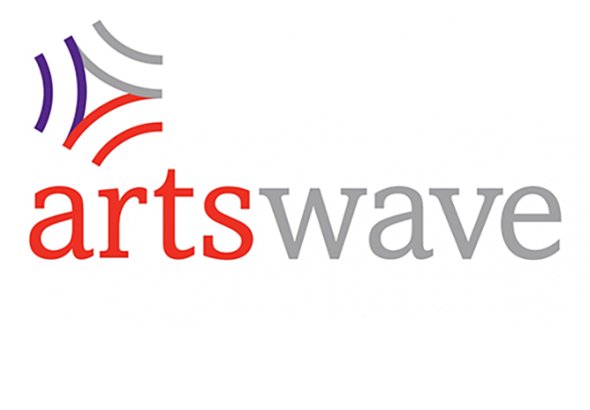 ArtsWave awards impact-based grants to major institutions, community arts centers, and smaller cultural organizations. ArtsWave engaged Bow Bridge to promote the work of the organization and special initiatives on a national scale. 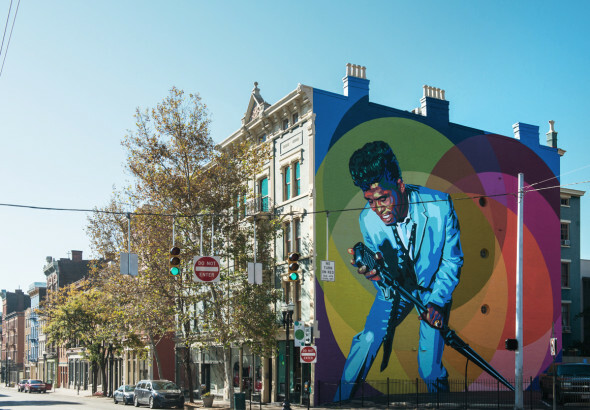 Founded in 1996, ArtWorks is a creative and economic engine that unites Cincinnatians to transform their city through public art, including their award-winning mural program, art therapy, and creative enterprise initiatives. ArtWorks is the largest visual arts employer in the region. ArtWorks engaged Bow Bridge to promote the work of the organization to national and international media and highlight its mural art program in 2015‒16. 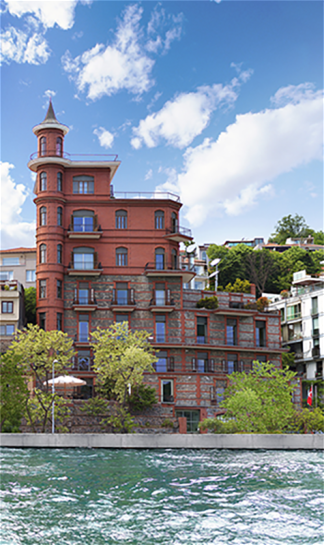 Borusan Contemporary is a multi-platform program of exhibitions, events, educational activities, new commissions, and site-specific installations based on the Borusan Contemporary Art Collection in Istanbul. These activities are defined by their specific focus on media arts broadly defined, i.e. 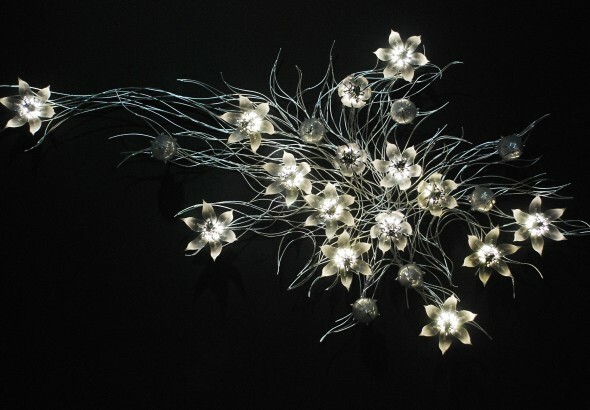 artists who work with time, light, technology, video, software, and beyond. Most programs take place at Perili Köşk and co-exist with the offices of Borusan Holding creating a unique museum-in-an-office setting. 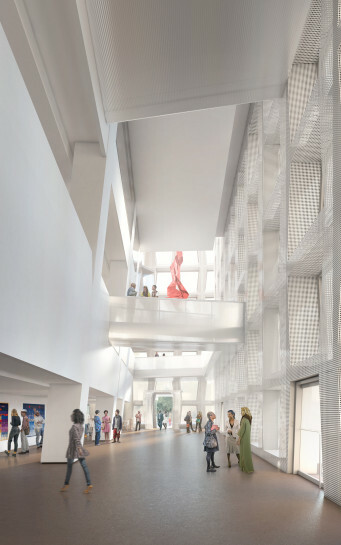 The building including the galleries, office spaces, café, shop, and outdoor terraces are open to the public on weekends. Borusan Contemporary retained Bow Bridge to promote their efforts to expand their profile in the U.S. and internationally in 2017, through a suite of exhibitions at the University of Michigan Museum of Art, a pop-up gallery event in New York City, and their Diana Thater exhibition coinciding with the 2017 Istanbul Biennial. The Brown Arts Initiative (BAI) at Brown University seeks to cultivate creative expression and foster an interdisciplinary environment where faculty and students learn from each other and from artists and scholars in a range of fields from across the campus and around the world. 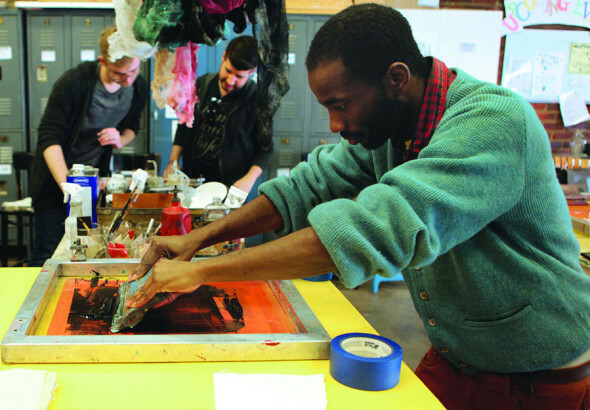 Comprising six academic departments and two related programs, the BAI builds on Brown’s reputation as a destination for arts exploration, contributing to cultural enterprise through the integration of theory and practice. 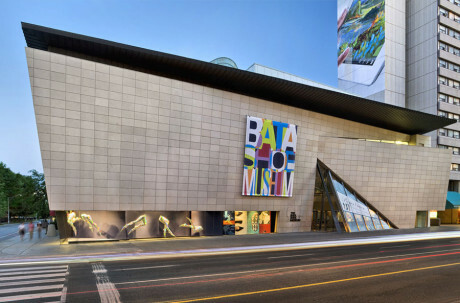 Most of the programs organized by the BAI are free to the public. BAI retained Bow Bridge to promote the official launch of the organization in March 2017 and serve as communications counsel. 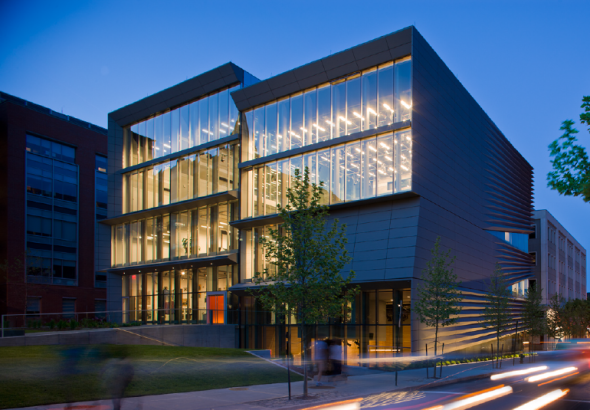 Caples Jefferson Architects (CJA) is an award-winning design and architecture firm founded in 1987 by principals Sara Caples and Everardo Jefferson. The firm designs architecture that is engaged with social, cultural, and community concerns built sustainably. CJA provides architecture and interior design services as well as master planning, urban design, research, and programming—completing over 100 projects for civic, corporate, educational, cultural, public, and private clients in the U.S. and abroad. 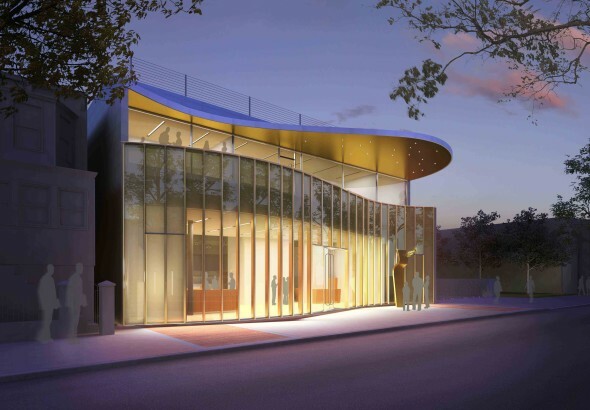 Projects include The Africa Center on Manhattan’s Museum Mile opening in stages beginning in 2018; Queens Theatre in the Park in Queens (2011); Weeksville Heritage Center in Brooklyn (2013); and the Louis Armstrong House Museum Education Center in process in Corona, Queens. Bow Bridge was engaged to raise the firm’s profile among national and international media. 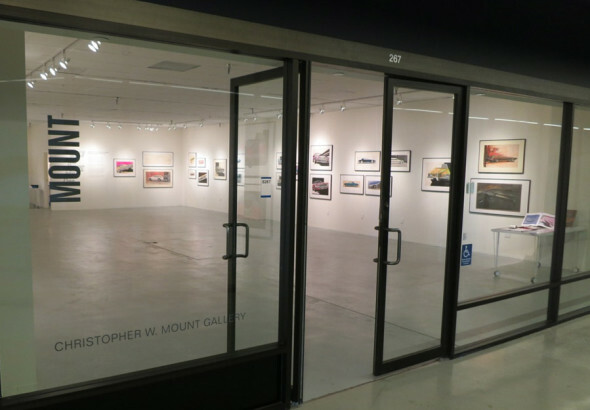 Specializing exclusively in architecture and design material, Christopher W. Mount Gallery opened to the public on May 23, 2014. Mount Gallery presents drawings, sketches, models, photographs, prints, and art experiments by prominent figures engaged in the design arts. The Gallery offers the public the opportunity to view and acquire work collected by eminent institutions internationally. Mr. Mount brings 30 years of experience in the field, including 14 years as a curator in the Department of Architecture and Design at MoMA, and as an editor, writer, historian, academic, and certified appraiser. 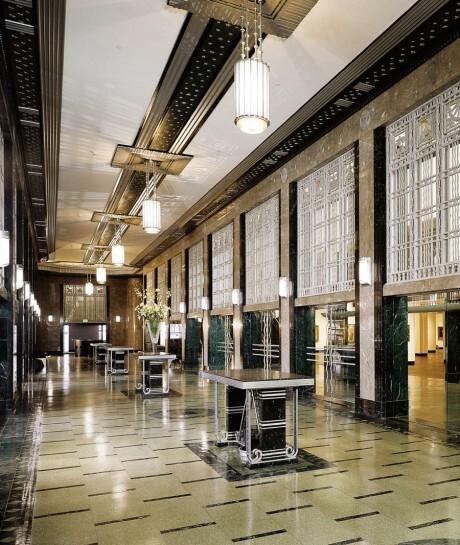 The Gallery also provides curatorial services, sales counsel, and consulting in “legacy building” for architecture and design firms and related estate planning and assists in placement, general advisement, appraising, and cataloging of large collections and firm archives. Bow Bridge promoted the opening of the Gallery and its inaugural exhibition, A Modern Master: Photographs by Balthazar Korab, securing coverage in national dailies and prominent art, design, and architecture outlets. Founded in November 1939 as the Modern Art Society, the Contemporary Arts Center (CAC) was one of the first institutions in the U.S. dedicated to exhibiting the art of its time. CAC focuses on new developments in painting, sculpture, photography, architecture, performance art, and new media, presenting on average ten exhibitions and thirty performances annually in its Zaha Hadid-designed facility. CAC engaged Bow Bridge to help promote their exhibition program to a national and international audience and the announcement of their free admission program inaugurated in 2016. 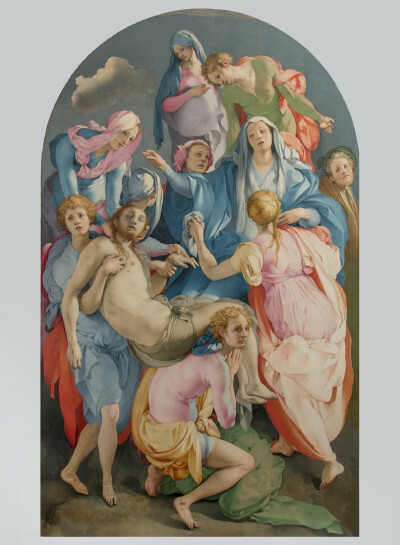 Friends of Florence (FoF) is a non-profit organization based in Washington, DC and Florence, Italy, supported by individuals dedicated to preserving and enhancing the cultural and historical integrity of the arts in the city and surrounding region. To date, the organization has raised and donated $10 million for conservation projects in the region. FoF provides financial support directly to the city’s restoration laboratories to conserve, safeguard, and make available to the public a broad range of cultural heritage. Through educational programs and events and by working closely with local and national partners, FoF strives to increase public understanding and appreciation of Florence and Tuscany’s art and architectural treasures. FoF retained Bow Bridge to help build its profile in the U.S. media by heightening awareness of its conservation projects. 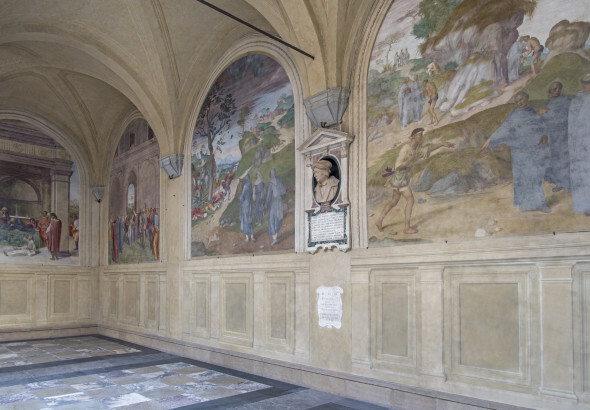 Recent projects have included the renovation of the Botticelli Rooms in the Uffizi Gallery and conservation of paintings in it; the restoration of the Chapel of the Crucifix in the basilica of San Miniato ; and the ongoing care of Michelangelo’s The David. Bow Bridge supports the Frist’s promotion of its new initiatives and exhibition program while raising its profile nationally and internationally. 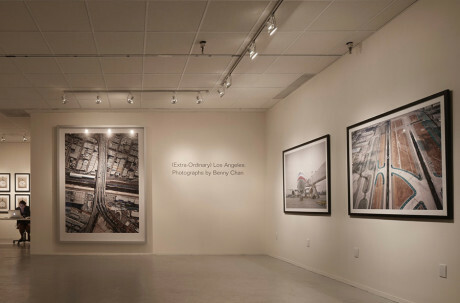 Exhibitions have included critically acclaimed Sensuous Steel: Art Deco Automobiles; Carrie Mae Weems: Three Decades of Photography and Video; Sanctity Pictured: The Art of the Dominican and Franciscan Orders in Renaissance Italy; Treasures from the House of Alba: 500 Years of Art and Collecting; and Nick Cave: Feat; Rome: City and Empire; The Prison Industrial Complex: Photographs by Keith Calhoun and Chandra McCormick; We Shall Overcome: Civil Rights and the Nashville Press, 1957–1968; and Chaos and Awe: Painting for the 21st Century. 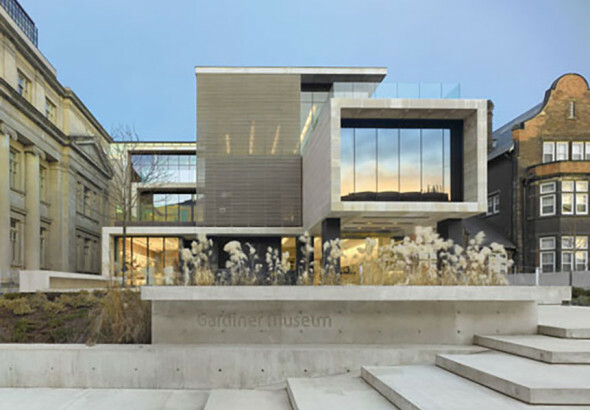 The Gardiner Museum celebrates the art of ceramics by connecting visitors to the fundamental role of ceramics in many cultures throughout history, and offers special temporary displays, many highlighting the relevancy of ceramics to contemporary life. The permanent collection comprises approximately 4,000 objects and focuses on specific areas that have been collected in depth. It also houses ceramics from the Ancient Americas, Chinese blue and white porcelain, Japanese porcelain, and contemporary Canadian ceramics. The Gardiner engaged Bow Bridge to advise on strategies to raise the profile of the Museum in North America and internationally. Headlands Center for the Arts is a multidisciplinary, international arts center dedicated to supporting artists, the creative process, and the development of new, innovative ideas and artwork. 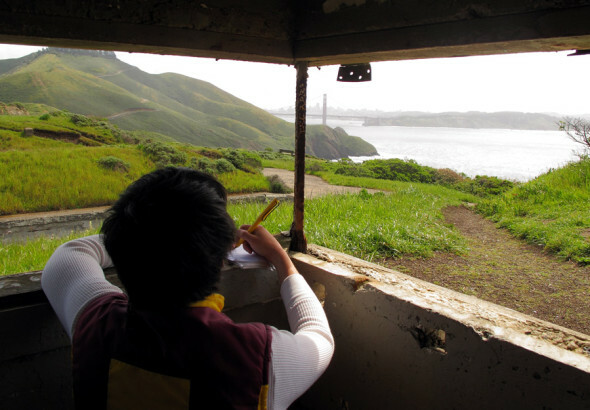 Founded in 1982, the campus comprises a cluster of artist-rehabilitated military buildings at historic Fort Barry in the Marin Headlands, a part of San Francisco’s Golden Gate National Recreation Area. 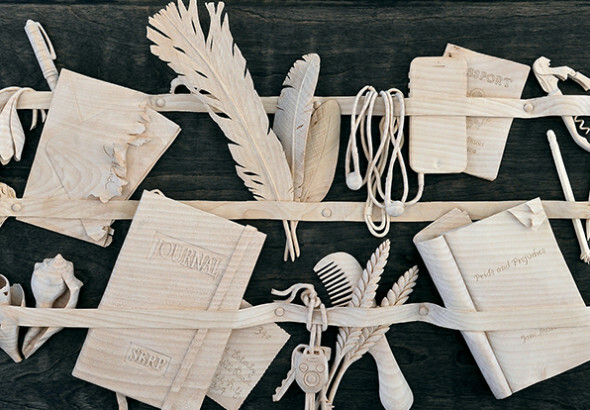 Through their Artist-in-Residence program, Headlands supports artists of all disciplines and provides opportunities for independent and collaborative creative work and site-specific installations. Headlands provides unique access for the public to witness these kinds of works-in-progress outside of a museum or gallery context. Regularly scheduled public events include open houses, exhibitions, conversations, community meals, walks, and workshops. 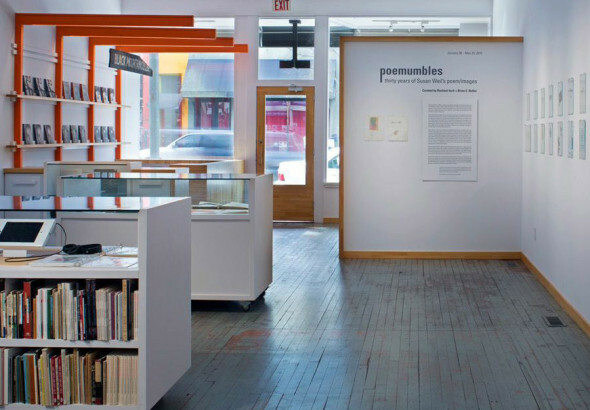 Bow Bridge is engaged to create and implement a media strategy across platforms to promote Headlands’ programs and seasonal activities and to highlight Headlands’ relevance in building awareness of and appreciation for art’s essential role in society. Feature Photograph: Headlands Bunker Photo by Goldberg Inset Photograph: Headlands Studio Paul Rucker. Photo by Andria Lo. 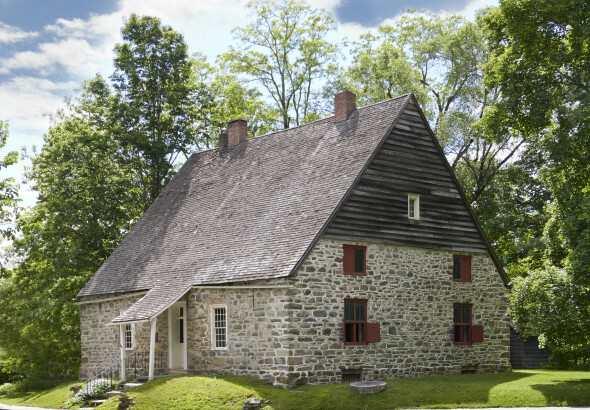 A National Historic Landmark District, Historic Huguenot Street (HHS) encompasses 30 buildings on 10 acres that was the heart of the original 1678 New Paltz settlement. It was founded in 1894 as the Huguenot Patriotic, Historical, and Monumental Society to preserve the collection of stone houses. 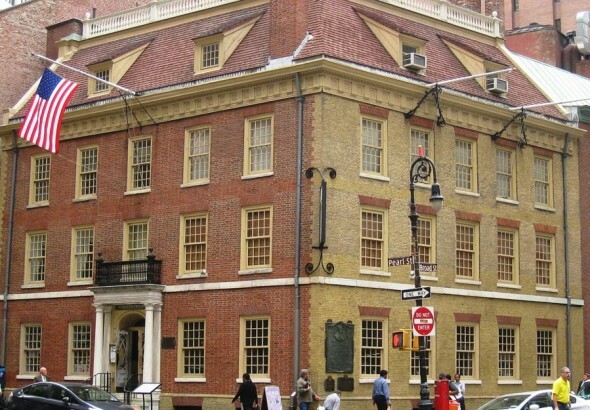 Since then, HHS has grown into an innovative museum campus dedicated to protecting the historic buildings, conserving a collection of artifacts and manuscripts, and organizing public programs that help tell stories of those who lived on Huguenot Street from the 16th century to today. 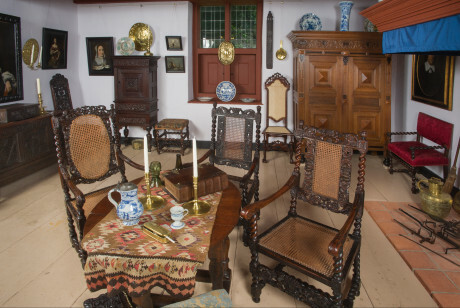 Bow Bridge supported the promotion of an exhibition about 17th-century Dutch culture and advised as communications counsel to raise awareness of HHS among regional and national media. 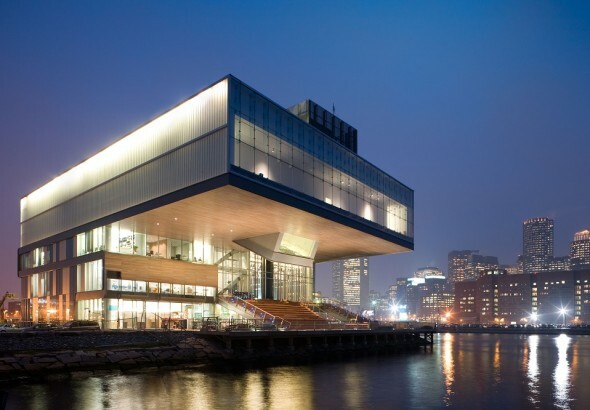 An influential forum for multidisciplinary arts, the Institute of Contemporary Art/Boston (ICA) has been at the leading edge of art in Boston for over 80 years. 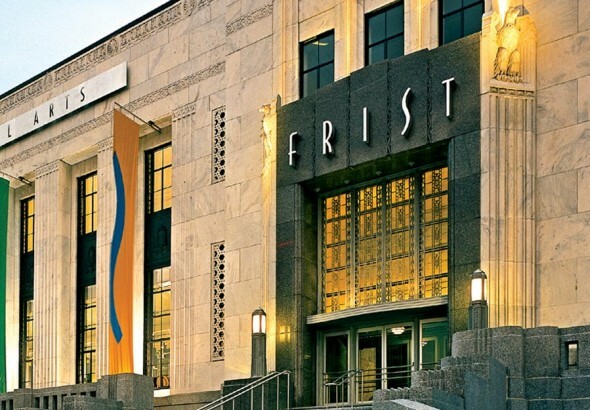 Its exhibitions and programs provide access to contemporary art, artists, and the creative process, inviting audiences of all ages to participate in the excitement of new art and ideas. ICA engaged Bow Bridge in 2016 to serve as part of its communications team, coordinating national coverage of key exhibitions and events. Bow Bridge’s scope of work included promoting the exhibitions First Light: A Decade of Collecting at the ICA and The Artist’s Museum. Bow Bridge also served as communications counsel on the ICA’s 2017 announcement about its expanding its programming to East Boston in 2018. Established in 1969, the International Foundation for Art Research (IFAR) is a nonprofit educational and research organization dedicated to promoting integrity in the visual arts. 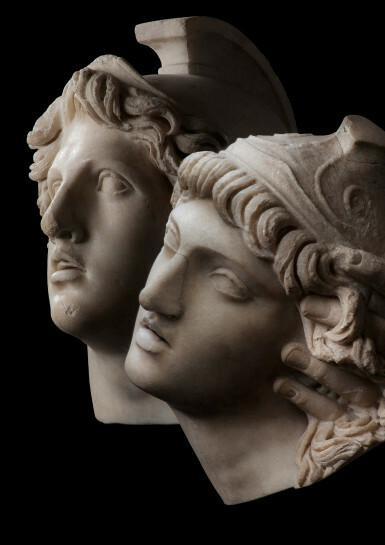 IFAR offers impartial and authoritative information on authenticity, ownership, theft, and other artistic, legal, and ethical issues concerning art objects. 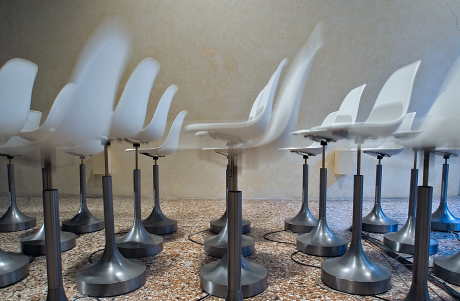 IFAR publishes IFAR Journal; organizes conferences, panels, and lectures; offers art authentication research and provenance research services; provides comprehensive web-based resources; and serves as an information resource. 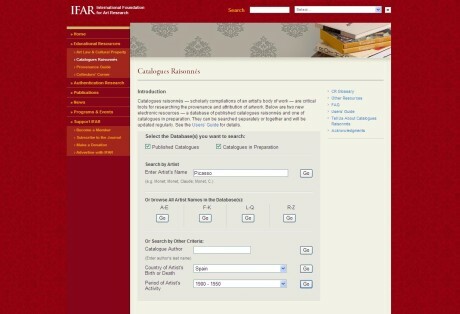 IFAR engaged Bow Bridge to provide promotional support for the launch of its newly enhanced Catalogues Raisonnés Database and leverage the opportunity to raise awareness of IFAR generally. 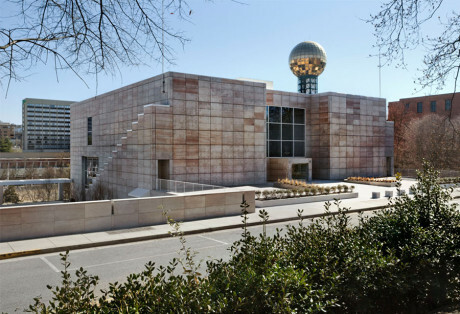 The Knoxville Museum of Art (KMA) celebrates the art and artists of East Tennessee and beyond. 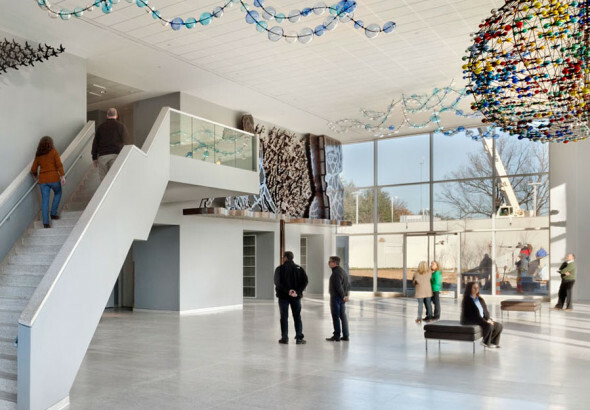 A $6 million refurbishment of its Edward Larrabee Barnes-designed facility took place in 2013‒14, returning the KMA to its pristine condition while increasing gallery space and completing the North Garden. The highlight of the reopening was the unveiling of a site-specific monumental commission by Richard Jolley, his most ambitious and complex undertaking to date. 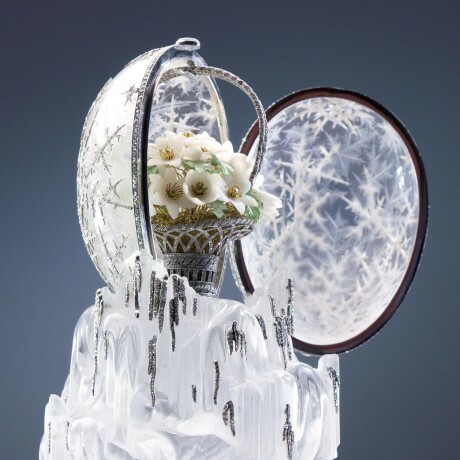 Cycle of Life: Within the Power of Dreams and the Wonder of Infinity is one of the largest figurative glass-and-steel assemblages in the world. 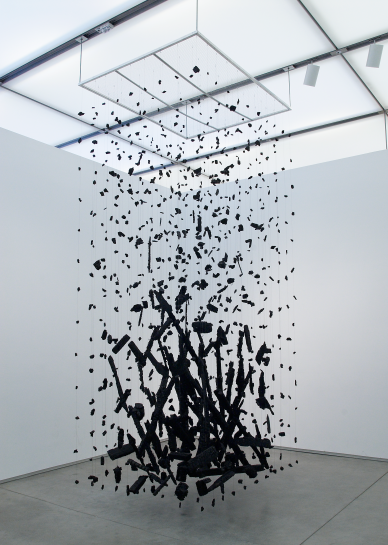 The KMA also features special exhibitions and a permanent exhibition of works from the collection and loans from individuals and other institutions and an installation examining recent developments in contemporary art. Bow Bridge developed and implemented a strategic public relations plan to promote the reopening of the refurbished KMA and Richard Jolley’s masterwork. We organized a press trip and media preview. We also advised on an institutional rebranding created by Ferebee Lane + Co. and served as KMA’s communications and marketing counsel. Mark Stewart Productions (MSP) is an award-winning production company and media consultancy specializing in feature documentaries for theatrical release and television broadcast. 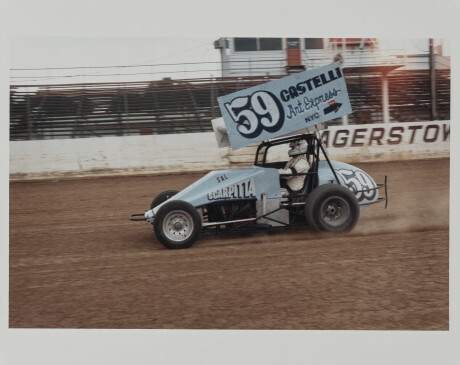 MSP films and documentaries have examined diverse subjects from ancient Egypt and Formula 1 racing cars to space travel and aviation history. 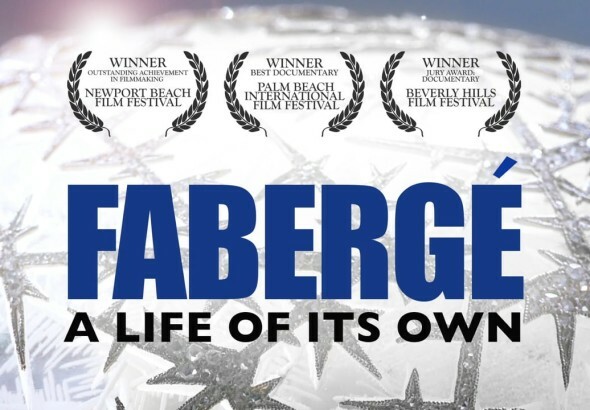 MSP engaged Bow Bridge to provide strategic communications counsel on the occasion of the release of its 2014 documentary Fabergé: A Life of its Own on iTunes and DVD in 2017. Bow Bridge conducted intensive outreach to media in North America to heighten awareness of the film and garner coverage. 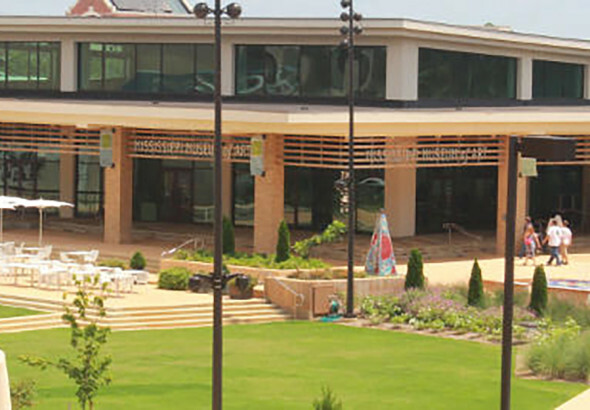 Mississippi Museum of Art (MMA) is the largest art museum in the state. 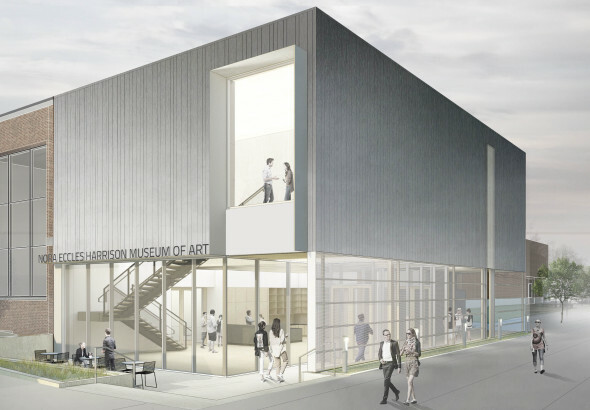 The Mississippi Art Association, established in 1911, was the precursor to the current Museum, founded in 1978 as a community-supported institution. 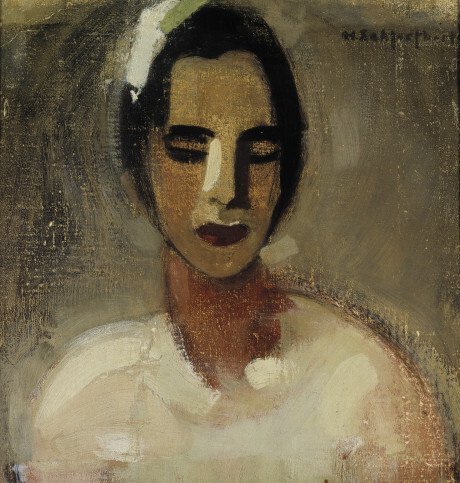 MMA’s permanent collection includes paintings, photography, multimedia works, and sculpture by Mississippi, American, and international artists. MMA has 31 affiliate museums across the state that benefit from the loan of artworks and traveling exhibitions organized by MMA. Bow Bridge was engaged to support MMA’s promotion of a major exhibition and special installation celebrating the state’s bicentennial, new initiatives including the Center for Art and Public Exchange and partnership with Tougaloo College, and the Museum generally. 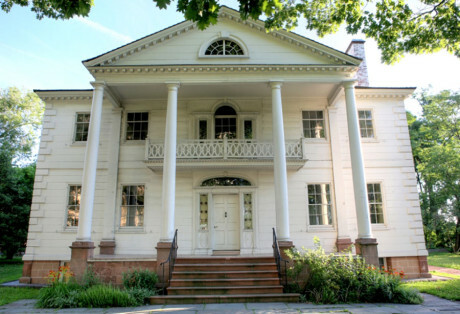 Built in 1765, in what was to become Washington Heights in upper Manhattan, Morris-Jumel Mansion (MJM) served as headquarters for General George Washington during the battle of New York and host to presidents, senators, cabinet members, and royalty. 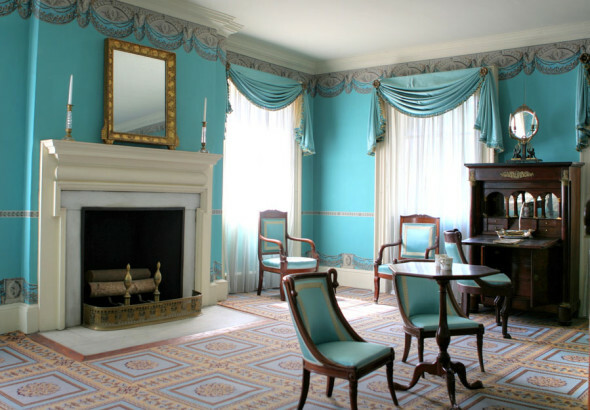 It is now a house museum committed to preserving, interpreting, and making relevant to diverse audiences the Mansion’s historic past and collection of period art and furnishings. To celebrate its 250th anniversary in 2015, MJM is organizing special programs and events including an exhibition of work by the eminent artist Yinka Shonibare MBE; an evening onboard a replica of Lafayette’s frigate L’Hermione; a Washington Heights community celebration; and a nighttime theatrical reenactment of dramatic scenes from MJM’s history. Morris-Jumel Mansion retained Bow Bridge to support the promotion of its exhibitions, public programs, fundraising events, and the Mansion’s 250th anniversary celebration in 2015. Exhibitions included an installation by Yinka Shonibare MBE and the 2017 exhibition A Taste for Chocolate. 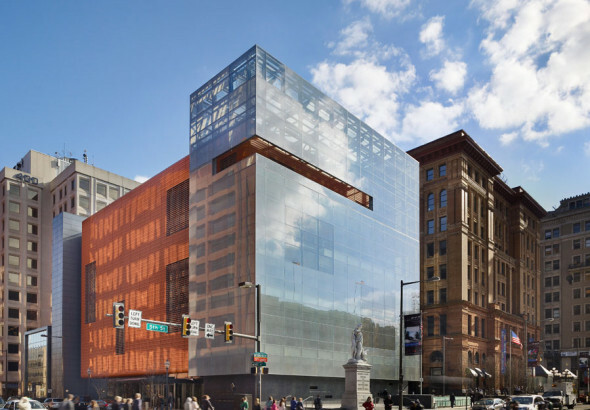 The National Museum of American Jewish History (NMAJH), located on Independence Mall in Philadelphia, brings to life the over 360-year history of Jews in America. Tracing the stories of how Jewish immigrants became Jewish Americans, the Museum invites visitors of all backgrounds to reflect on how their histories and identities have been shaped by the American experience. 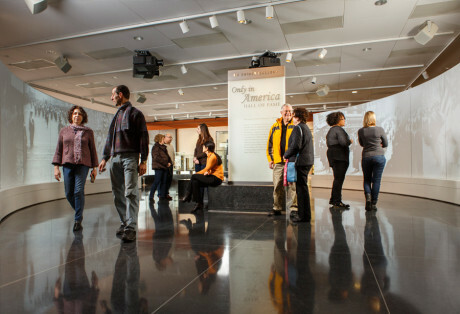 Through its collection, special exhibitions, and programming, NMAJH honors the past and contributes to a better future by sharing the power of imagination and ideas, culture and community, leadership and service, in ways that turn inspiration into positive action. In 2015, Bow Bridge was engaged to help the Museum promote a special exhibition, Richard Avedon: Family Affairs, based on an exhibition drawn from the collection of the Israel Museum, in Jerusalem. We also serve as communications counsel. 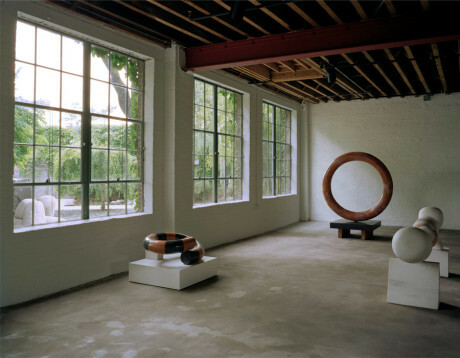 Designed by the artist and occupying a renovated industrial building, The Noguchi Museum comprises ten indoor galleries and an outdoor sculpture garden. 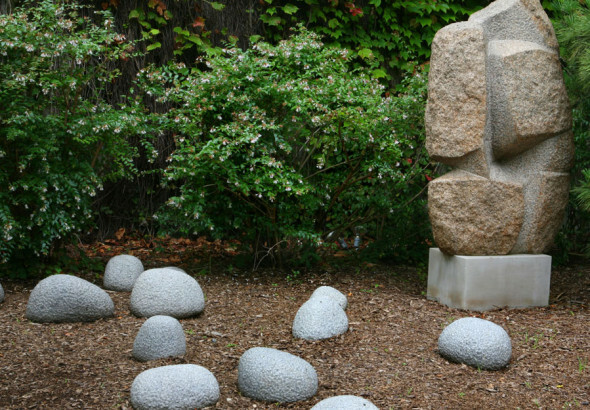 Since its founding in 1985, the Museum has exhibited a comprehensive selection of the celebrated artist’s sculpture in stone, metal, wood, and clay, works on paper, and models for public projects and gardens, dance sets, and his Akari Light Sculptures. Together, this installation and the Museum’s diverse special exhibitions offer a rich, contextualized view of Isamu Noguchi’s work and illuminate his influential legacy of innovation. Bow Bridge was engaged spring 2013‒spring 2014, to promote a traveling exhibition co-organized by the Museum, its accompanying publication, and public programs. Stories and reviews appeared in numerous national and international outlets and the Museum had its highest attendance rate to date in 2013. 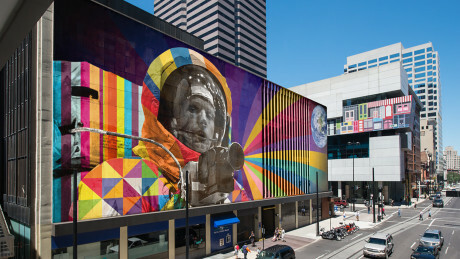 The Nora Eccles Harrison Museum of Art (NEHMA) is dedicated to collecting and exhibiting modern and contemporary visual art to promote dialogue about ideas fundamental to contemporary society. 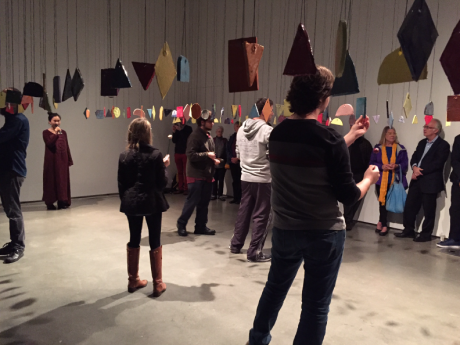 NEHMA provides meaningful engagement with art from the 20th and 21st centuries to support the educational mission of Utah State University. NEHMA offers complementary public programs such as lectures, panels, tours, concerts, and symposia to serve the University and regional community. 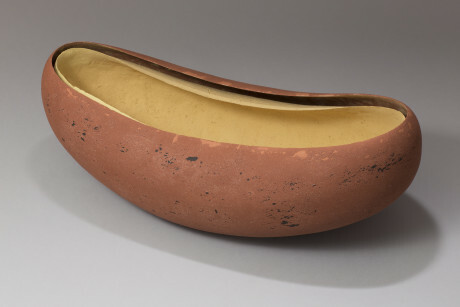 NEHMA engaged Bow Bridge to provide a strategic public relations campaign and communications counsel to promote two major exhibitions at the museum in 2015‒16 including Abstraction and the Dreaming: Aboriginal Paintings from Australia’s Western Desert (1971‒Present) and A Matter of Taste. 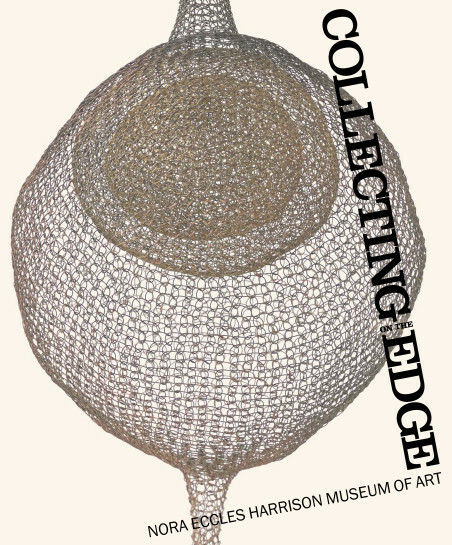 Bow Bridge is also promoting the opening of the renovated Museum, reinstallation, and major publication, Collecting on the Edge in 2018/19. Oldcastle BuildingEnvelope® (OBE) is the leading North American supplier of products designed and manufactured to close the building envelope. They include: custom-engineered curtain- and window-walls, architectural windows, storefront systems, doors, skylights and architectural glass. OBE is a subsidiary of CRH plc, one of the leading international building products companies. CEO Edwin (Ted) Hathaway is a much sought-after speaker about advancements in the building industry. 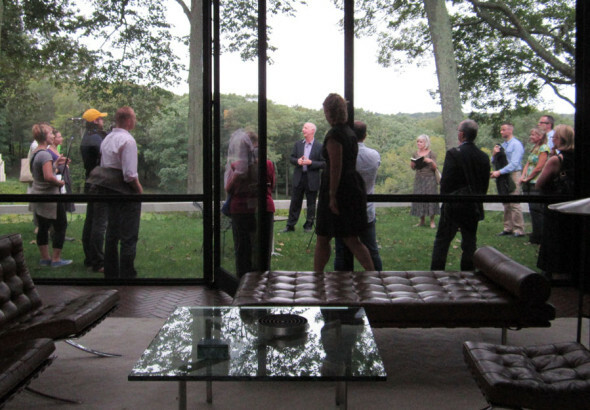 OBE has been a long time supporter of public programs at Columbia University’s Graduate School of Architecture, Planning and Preservation (GSAPP) as well as at The Philip Johnson Glass House. 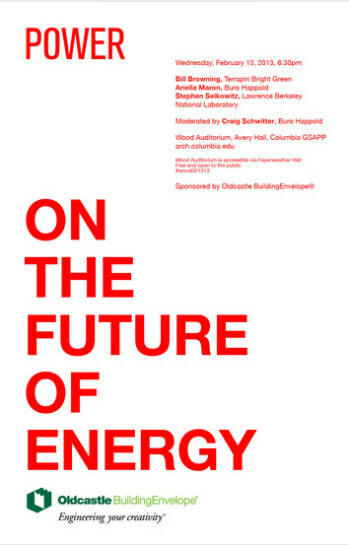 In 2013, Bow Bridge helped promote a panel on the future of energy presented at GSAPP and a lecture series at The Philip Johnson Glass House. We assisted in preparing press materials; pitched architecture, engineering, and design media; and provided speech-writing support service to Mr. Hathaway for industry conference presentations. The Onassis Foundation USA is committed to the promotion of Greek culture. By cooperating with educational and cultural institutions in Greece and throughout the Americas, the Onassis Foundation USA promotes cultural relations. 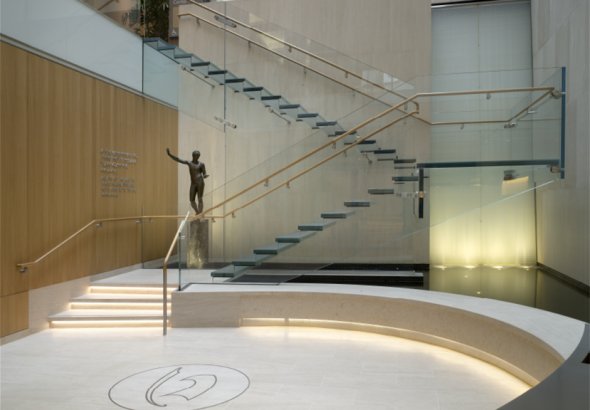 The Onassis Cultural Center in midtown Manhattan offers a diverse roster of public programs, exhibitions, events, and online engagement for audiences of all ages and interests. Programs and exhibitions are free. Bow Bridge promoted the expanded visual arts component of its 2016 Festival of Arts and Ideas and its acclaimed exhibition A World of Emotions: Ancient Greece 700 BC‒200 AD. Path Through History (PTH) is a program focusing on historically and culturally significant sites and events throughout New York State. PTH was introduced by Governor Andrew M. Cuomo and is managed by the State’s I ♥ NY tourism campaign. A central goal of the initiative was to raise awareness of the historic and culturally significant sites across the state, showcase the broad variety of their offerings and programs, and encourage tourists and residents to visit. Through an RFP process, Bow Bridge was selected by the New York City workgroup to develop and implement a communications plan and social media campaign that focused on the many hidden gems in the five boroughs. We worked with dozens of site representatives and liaised with the Metropolitan Transit Authority, I♥NY, Historic House Trust, and others. In approximately six months, the social media campaign had over 570,000 views on four platforms. 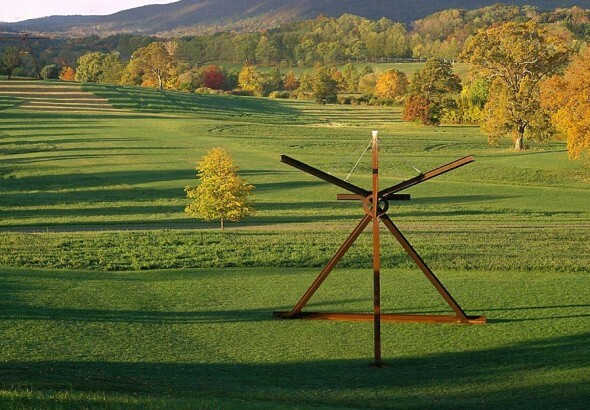 Located in New York’s Hudson Valley, Storm King is one of the world’s leading sculpture parks, encompassing over 500 acres of rolling hills, verdant fields, and woodlands. 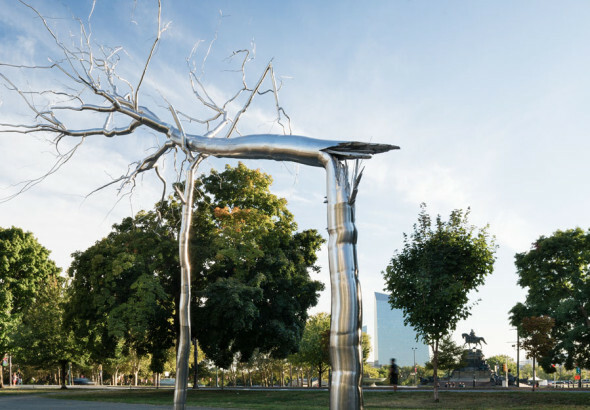 These provide space for a collection of more than 100 large-scale sculptures by some of the most acclaimed artists of our time, including Alexander Calder, Mark di Suvero, Andy Goldsworthy, Maya Lin, Claus Oldenburg, Louise Nevelson, Isamu Noguchi, Richard Serra, David Smith, and Zhang Huan, among others. 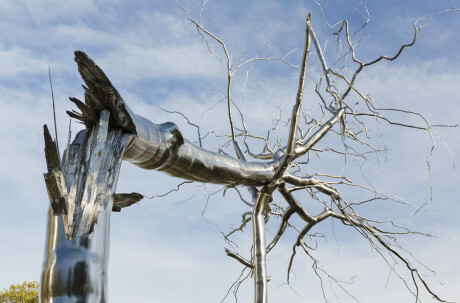 Storm King’s permanent display is complemented by special installations and exhibitions, both outdoors and in its museum building, and public programs. Bow Bridge promoted Storm King spring 2013‒spring 2014, its special exhibitions, public programs, and annual fundraising events and served as communications and marketing counsel. 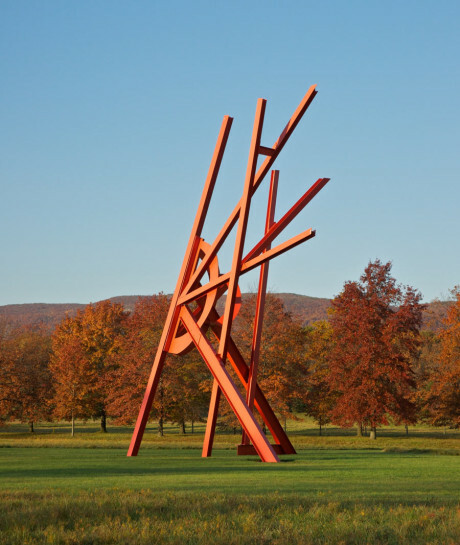 We secured a broad range of coverage nationally and internationally and Storm King had its best attendance to date in 2013. 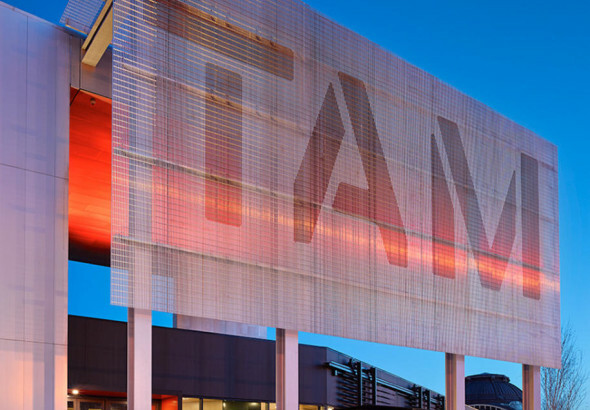 Tacoma Art Museum (TAM) has a collection of more than 4,700 works with an emphasis on the art and artists of the Northwest and broader Western region. The collection includes the largest retrospective museum collection of glass art by Tacoma native Dale Chihuly on permanent view; the most significant collection of studio art jewelry by Northwest artists; key holdings in 19th century European and 20th century American art; and one of the finest collections of Japanese woodblock prints on the West Coast. TAM engaged Bow Bridge to promote the announcement of a major gift of the Jack and Becky Benaroya private collection of 225 works. 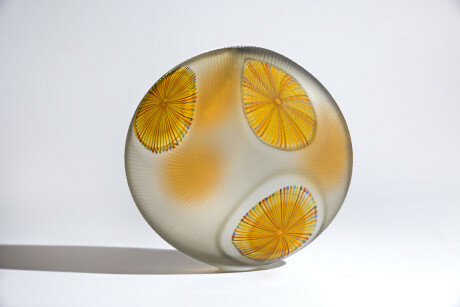 The gift included a contribution for a new gallery space to house the collection and an endowment for its conservation. 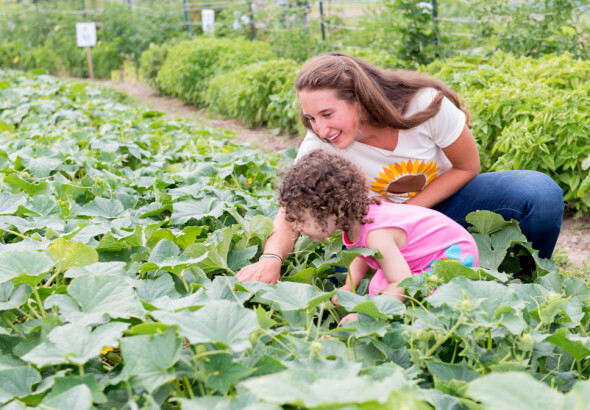 The mission of the Sylvia Center is to inspire young people and their families to eat well through hands-on learning experiences on the farm and in the kitchen. Through their programs, participants learn what fresh food is, how delicious it tastes, and how to prepare healthy meals. The Sylvia Center was founded in 2007, and has served tens of thousands of youth, teens, and families in New York City public housing and in Columbia County, NY. 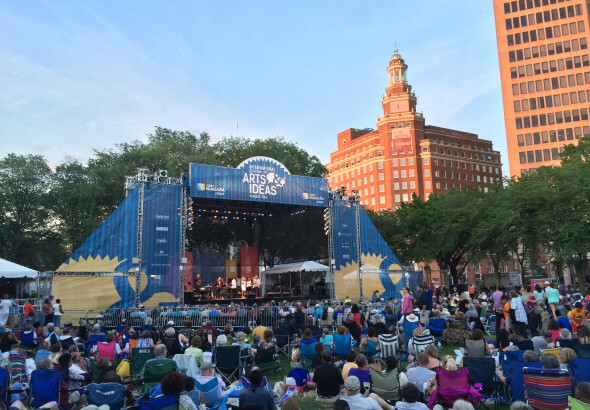 The Sylvia Center engaged Bow Bridge in 2015 to help with national promotion of its programs. 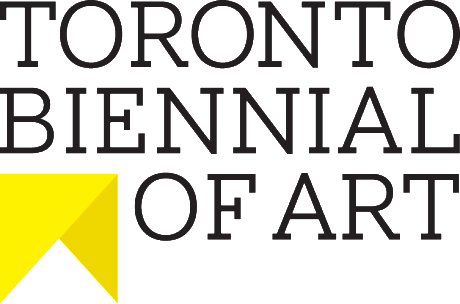 The Toronto Biennial of Art (TBA), launching its first event in fall 2019, will take place across the city in collaboration with non-profit galleries, museums, community organizations, and educational institutions. 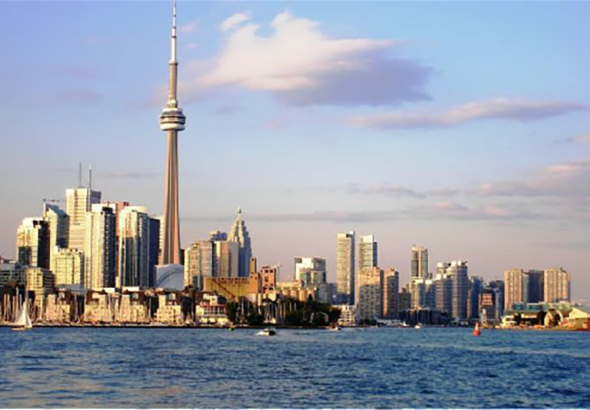 TBA will present Canadian and international art and feature artists and arts professionals at various stages in their careers. By linking year-round educational and curatorial programming beginning in 2018, TBA creates opportunities for residents and visitors to discover the city through provocative visual art experiences. Bow Bridge was engaged to help roll-out TBA’s inaugural year through a strategic public relations campaign beginning with the announcement of the curatorial team. 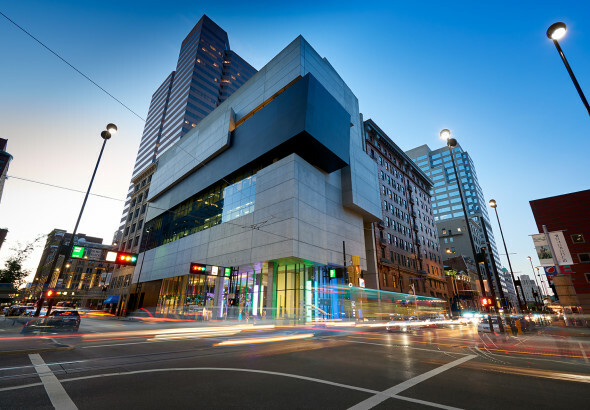 One of the leading university art museums in the country, UMMA was established in 1856, moved to its current location in 1910, and added the Frankel Family Wing in 2009. 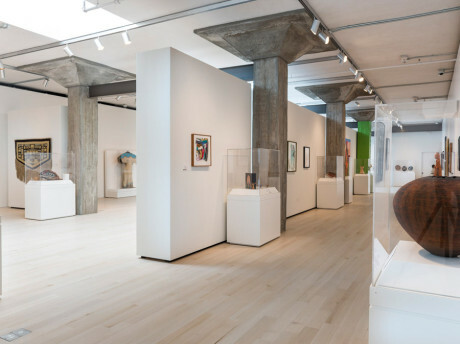 The collection—African; American; Asian; European; Middle Eastern; modern and contemporary; and prints, drawings, and photography—spans cultures, eras, and media. 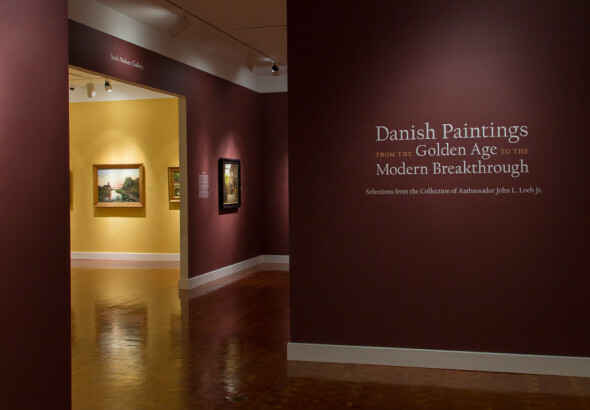 The Museum, among the oldest university art museums in the U.S., serves as the catalyst for cultural understanding at the University and within the Ann Arbor community. It is a physical and virtual destination for scholars and art-lovers from around the globe. UMMA engaged Bow Bridge to coordinate national and international promotion of their 2016‒17 exhibition program and announcement of new curatorial staff. 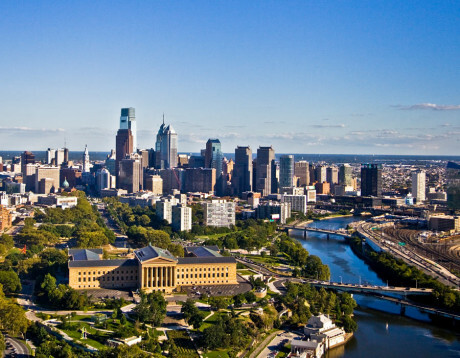 Visit Philadelphia (VP) is the official marketing agency of Greater Philadelphia, building the city’s brand and image through targeted campaigns, media relations, advertising, websites, and social media. They additionally promote regional attractions. 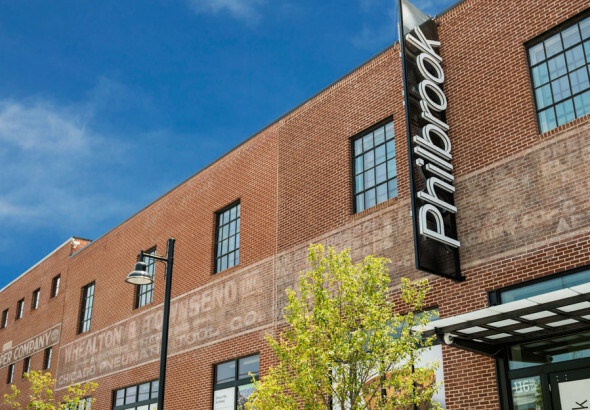 Visit Philadelphia’s service to its community and efforts to attract leisure travelers have been extraordinarily successful and considerably impacted the city’s economy and reputation as a must-see destination. Bow Bridge supported Visit Philadelphia’s (VP) multiyear With Art Philadelphia™ campaign, a partnership to position Philadelphia among the world’s great art destinations and to increase visitation to the region. 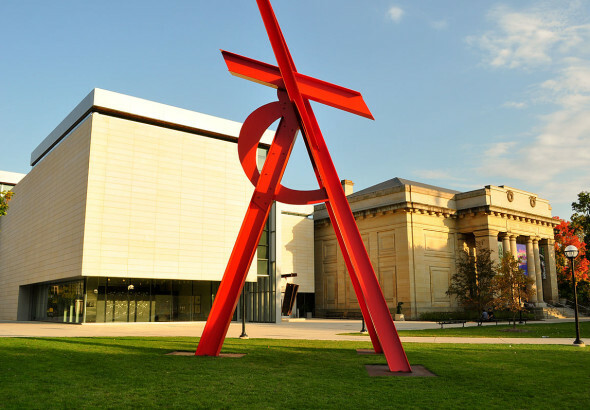 Partners included the Barnes Foundation, Philadelphia Museum of Art, Pennsylvania Academy of the Fine Arts, Penn Museum, and the Pennsylvania Horticultural Society. Bow Bridge worked with VP colleagues to pitch stories, organize media tours, and research new opportunities. We organized three media luncheons in New York City with representatives from the partner institutions and other cultural organizations. 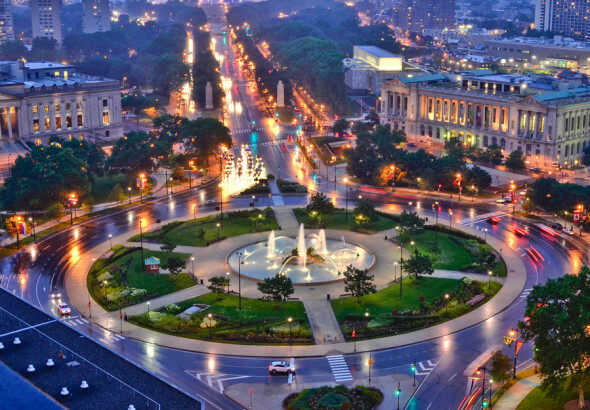 The trips and briefings resulted in a range of media describing Philadelphia as a major arts destination. Yale University Press (YUP) is one of the most prestigious academic presses in the world and widely known for its outstanding list of art books. YUP publications are books and other materials that further scholarly investigation, advance interdisciplinary inquiry, stimulate public debate, and educate both within and outside the classroom. In its commitment to increasing the range and vigor of intellectual pursuits within the University and elsewhere, YUP continually extends its horizons to embody university publishing at its best. 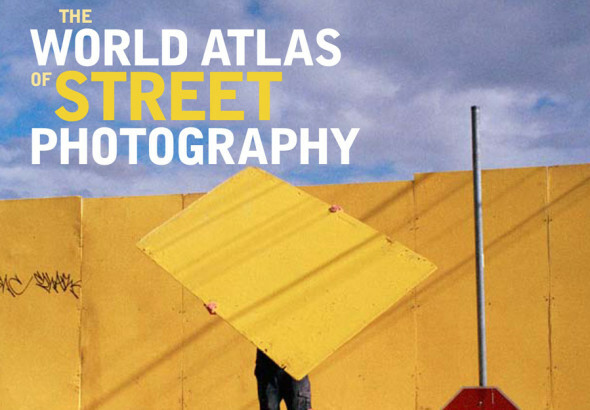 Bow Bridge promoted the publication of “The World Atlas of Street Photography,” by Jackie Higgins, the second in a series of “World Atlas” books. We garnered reviews in numerous U.S. and U.K. outlets and multiple listings in holiday gift-giving guides.